It's been a rough few years for OG MegaTen fans. Ever since Atlus achieved a new level of international success with Persona 4–a title that became its own successful franchise–Shin Megami Tensei and its myriad offshoots have been pushed in a more populist direction; one that sacrifices the series' transcendent iconoclasm upon the ever-hungry Altar of Otaku Fandom. Strategy RPG Devil Survivor was largely a sanitized retelling of Shin Megami Tensei 1, one in which the Power of Friendship could overcome any demon-summoning apocalypse. Its 2012 sequel was a retread, but added plot elements and antagonists lifted wholesale from Neon Genesis Evangelion, along with dating sim mechanics. Both games were illustrated by MegaTen newcomer and Durarara!! artist Suzuhito Yasuda, featuring moe-straddling designs with impossibly perky breasts. 2013 saw the release of Shin Megami Tensei IV, the first numbered SMT sequel in a decade. Although mechanically very strong, something felt a little off about it; from the softer character designs of Masayuki Doi (Trauma Team), to its odd instances of flag-waving nationalism, IV lacked much of the philosophy that made its forebears so special. It was not unexpected, as many of those behind the series' initial hallmarks had left Atlus long ago, but it was a hard reminder that Shin Megami Tensei had changed for good. This change was double-underlined in last year's Shin Megami Tensei IV APOCALYPSE, a pseudo-sequel that expanded IV's ending into a lengthy quest of its own. APOCALYPSE focused on–you guessed it–the Power of Friendship, giving its protagonist a whole host of cheerleading buddies to save the day, providing few dilemmas that couldn't be solved by doing your best and believing in yourself! APOCALYPSE felt extraneous at best, a reminder of a reminder that, despite its spiky shell, Shin Megami Tensei was now a run-of-the-mill JRPG through and through. 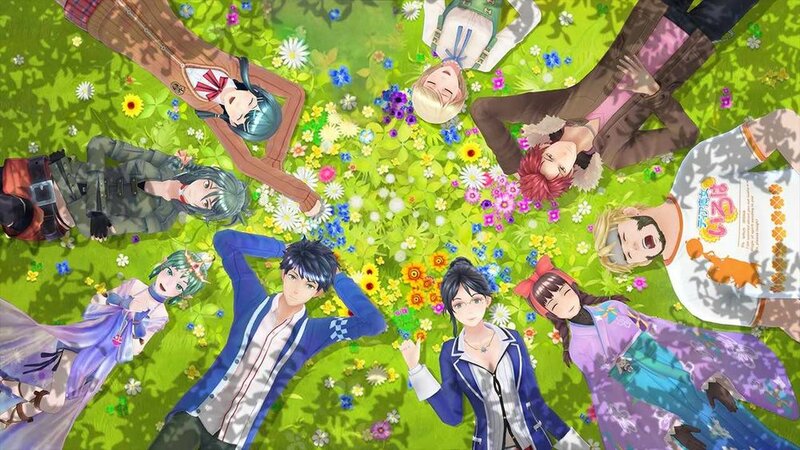 Last year also saw the release of Tokyo Mirage Sessions #FE, a supposed collaboration between Shin Megami Tensei and Fire Emblem that was, in actuality, a collaboration between Atlus and idol jimusho Avex. TMS (see what they did there?) presents an idealized version of Japan's idol industry–famous for its chewing up and spitting out of young hopefuls–as something to aspire to. It was disconcerting to watch, especially when one remembers Persona 2's biting critique of the idol industry–right down to villainous producer Ginji Sasaki, a parody of Avex's own Tetsuya Komuro. And that brings us to today, when Atlus revealed Shin Megami Tensei: Deep Strange Journey, a remake of 2009's Strange Journey. Strange Journey was, arguably, the last SMT that truly shared a philosophy with its predecessors. Dropped into a hell-world without respite, Strange Journey was heavy on ideological dilemmas with no easy answers. It was a deeply uncomfortable narrative in which, no, everybody can't just get along. Perhaps not so coincidentally, Strange Journey was the last SMT game to feature new character designs from longtime series illustrator Kazuma Kaneko. 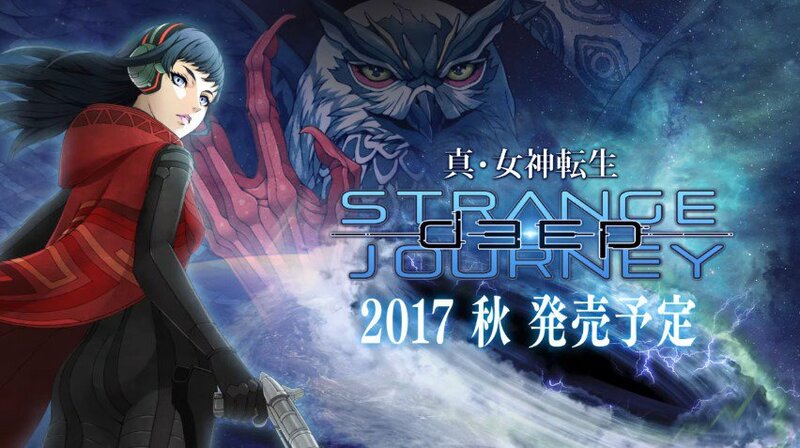 Deep Strange Journey, on the other hand, is set to add full voice acting, a host of new characters (most visibly a mysterious woman named Alex), as well as an expanded plot with a new ending route. Notably, this remake replaces Kaneko's striking character designs with those of SMT IV's Masayuki Doi. It's difficult to judge Deep Strange Journey by its trailer alone, but I can't help but raise an eyebrow at its announcement. It'll likely be a compelling and mechanically sound experience, but one wonders if Atlus is attempting to rewrite history; to "modernize" its earlier entries, filing off those rough physical and metaphysical edges for a reintroduction to an audience coming fresh off of the flashy Persona 5. The change in character designer is certainly telling. Will the Power of Friendship overcome the twisted void of the Schwarzwelt? Can social links bloom on a battlefield? Only time will tell.